Ever since I spied the August issue of Vogue I’ve been (more) obsessed (than usual) with Miu Miu. 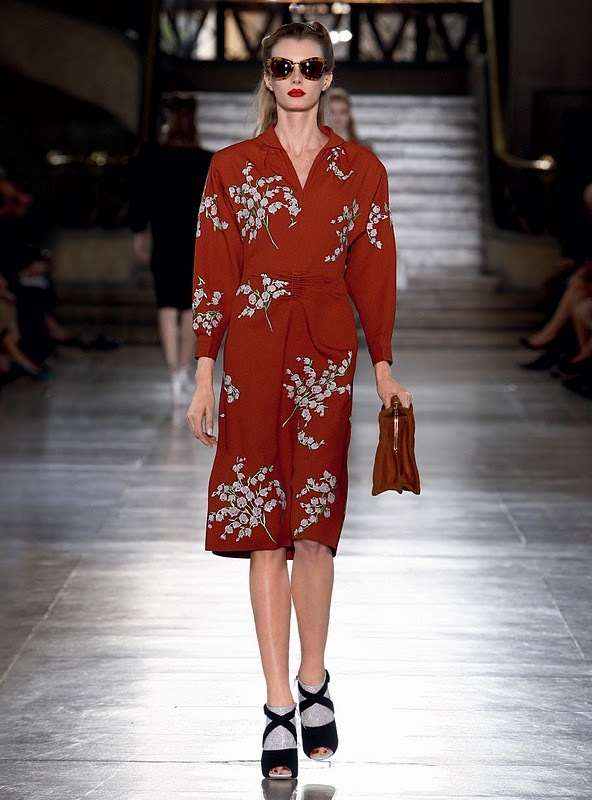 The dress Kate Moss wears on the cover is just all kinds of sumptuous, and given that I’m obsessed with floral, bird, horse and butterfly prints (you’d think I was a nature/animal lover – I’m not, particularly) Miu Miu’s catwalk, 40s-style interpretation of the trend, totally captured my imagination. 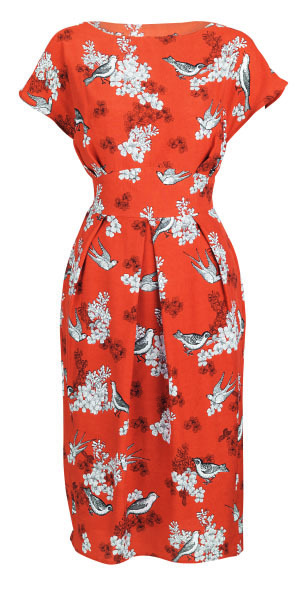 Anyway, I can’t lay claim to this catwalk copy because I blatantly saw it in LOOK magazine, but I’ve been searching for a stunning dress to wear at the weekend, for a trip with the girls to the seaside, and this is IT. My Miu Miu-esque dress has been duly ordered from South at Littlewoods and ticks all the bozes as far as I’m concerned…(my bikini will be underneath – yay for the Indian summer). Images from Vogue, Miu Miu and Littlewoods.